"The only one you need. 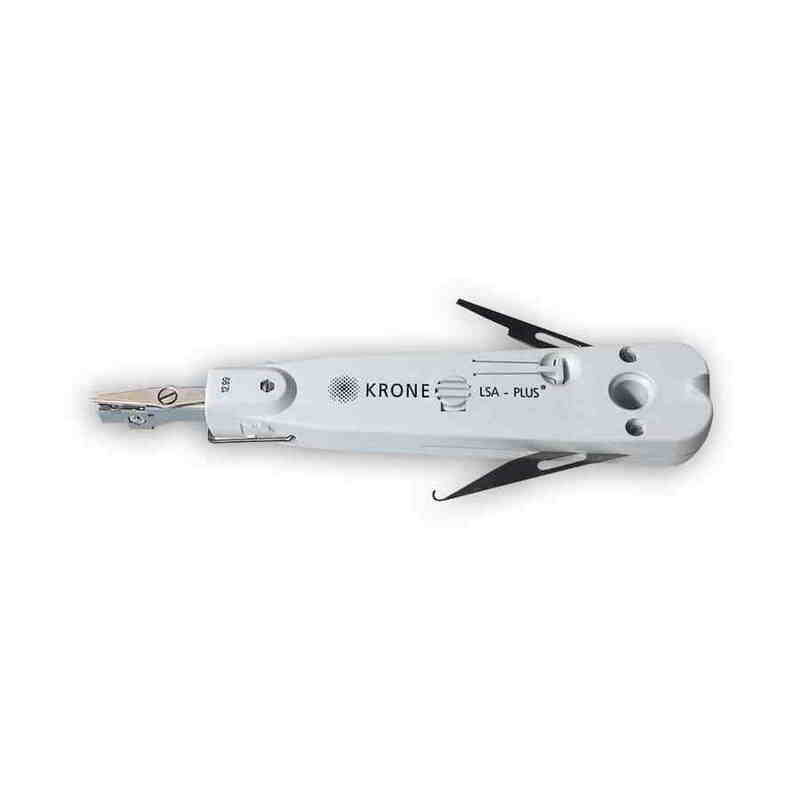 The Krone Tool terminates and trims wires with one punch. It's the only tool you'll need to add, Change or remove Krone connections."